Enrollment is now open for our new Toddlers (2) classroom! For more than 45 years, we have been helping parents by helping their children. Parents trust us and children love us, why us? Harris and Tucker is one of the oldest preschool, daycare center, childcare center and or Neuro developmental centers in Greater New Haven, CT. With more than 45 years of child care and development experience, we know how to run a safe, happy, and stimulating center. Competitive rates make it more affordable for families to enjoy this great experience! 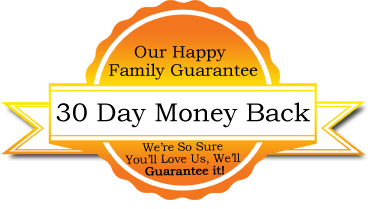 We believe you and your child will love Harris and Tucker School so much that we are willing to offer a money back guarantee. If you are disappointed in our care for any reason and wish to leave within the first 30 days, we will refund you last week tuition. When you have to make that all-important decision to trust another person with your child, make the right choice. Put your faith—and child—in Harris & Tucker’s hands. We do more than promise, we guarantee it. Click here for answers to your Frequently Asked Questions-because you’re not alone in your concerns-or email or call us: 203.787-5087.